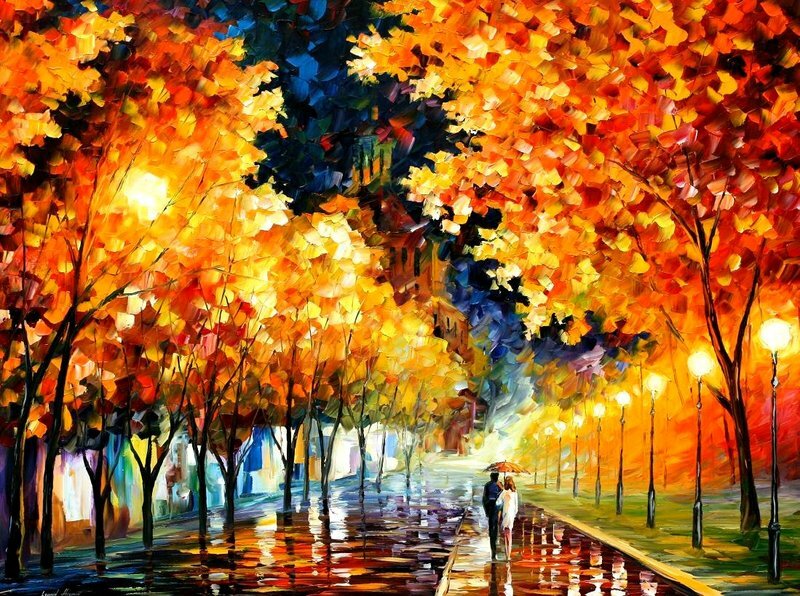 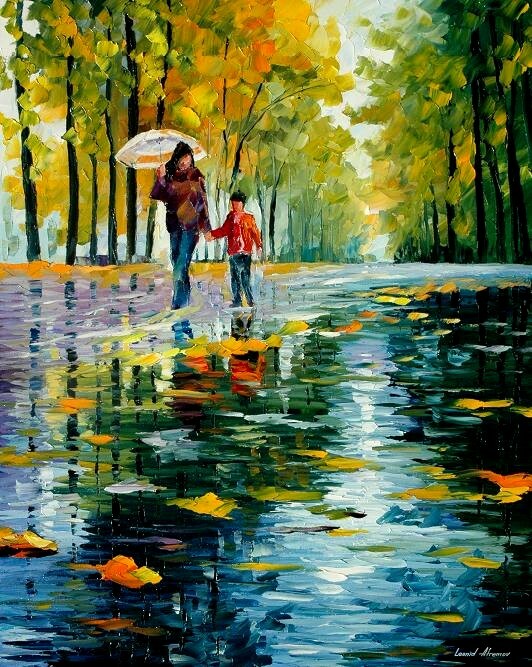 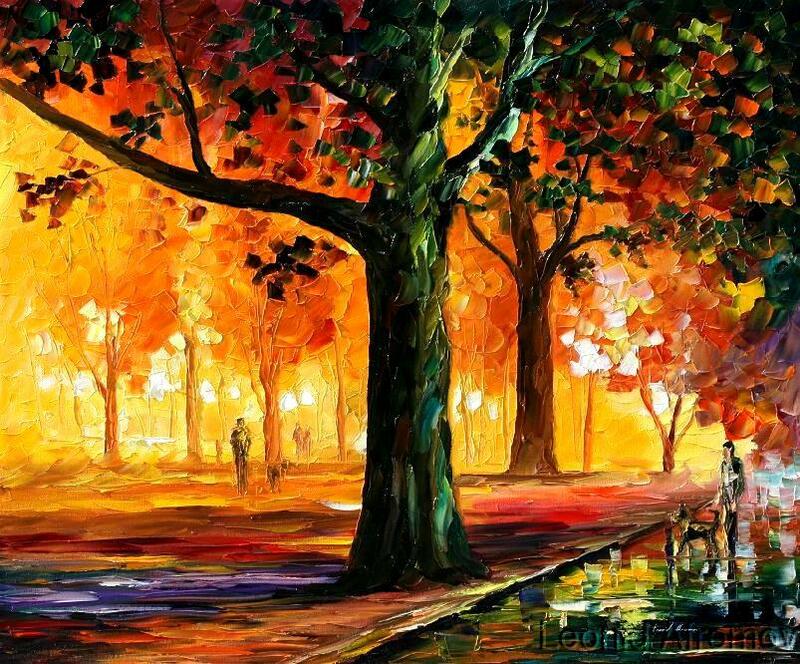 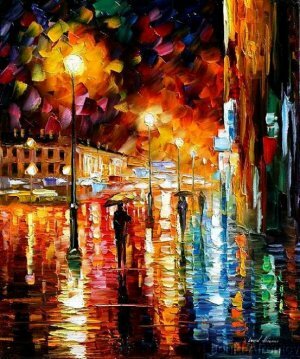 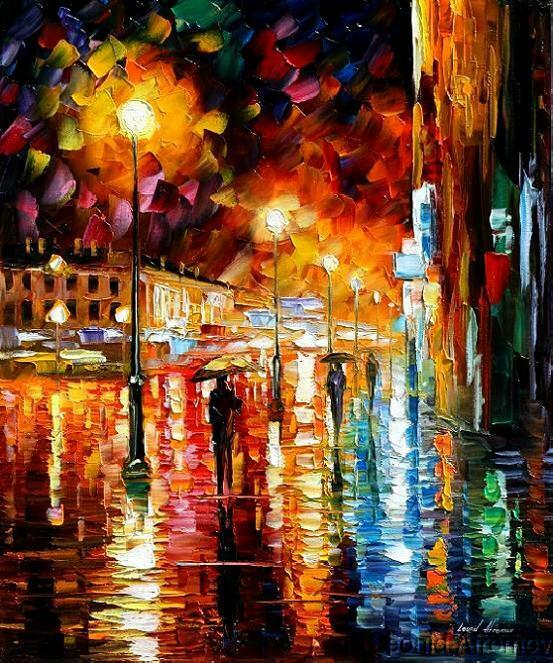 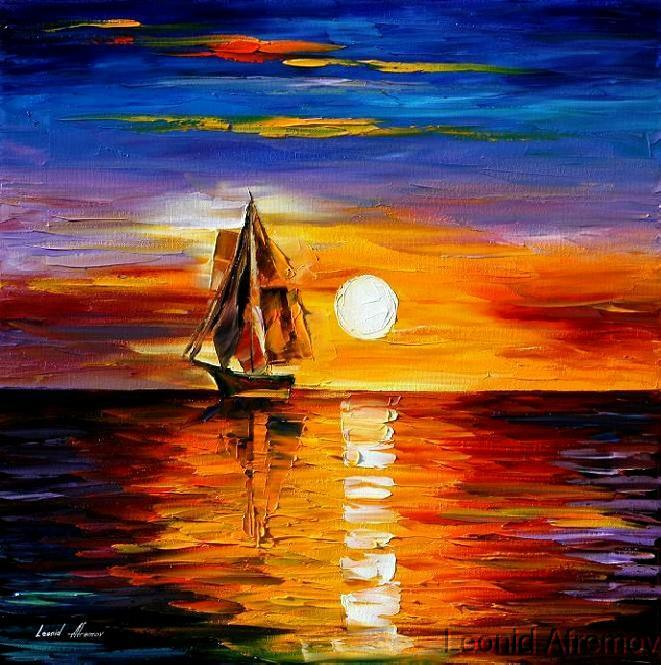 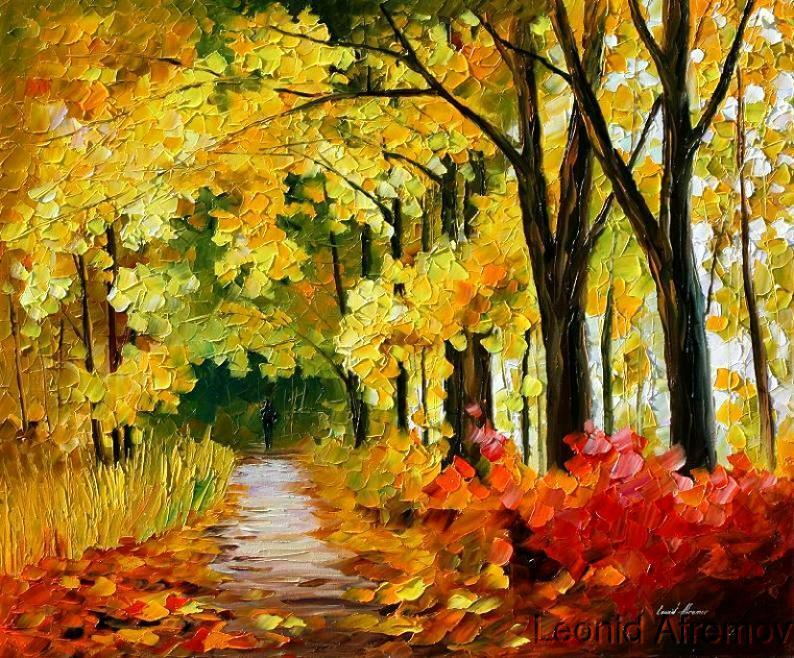 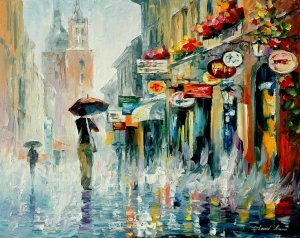 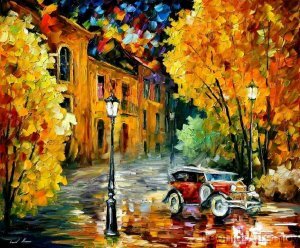 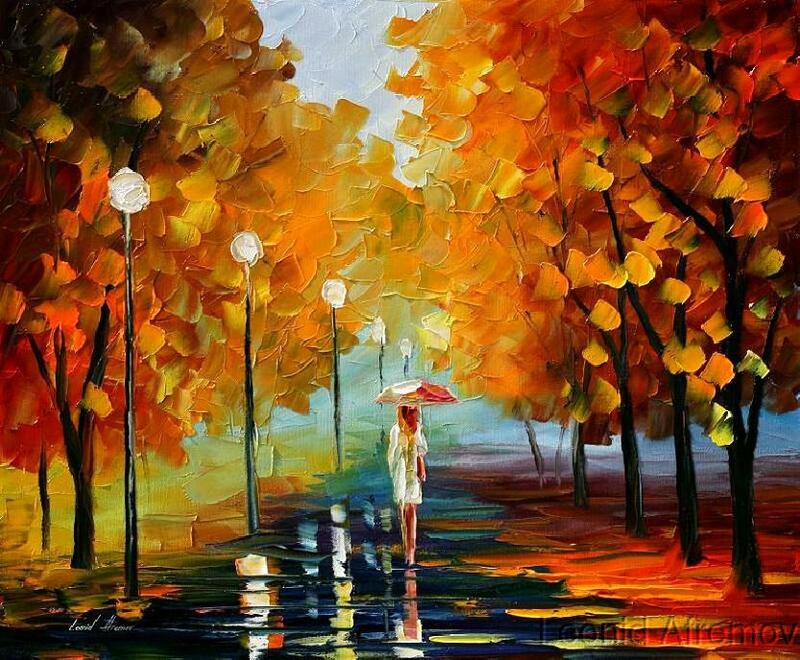 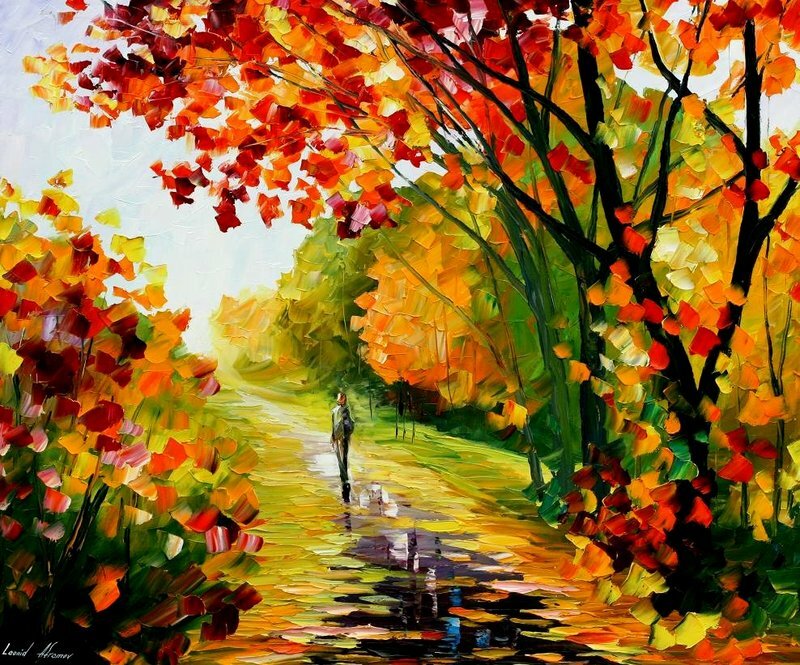 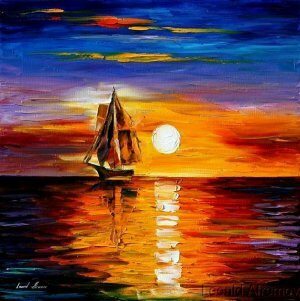 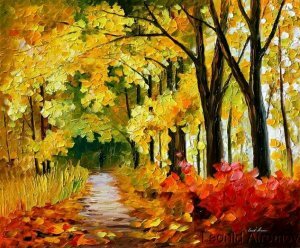 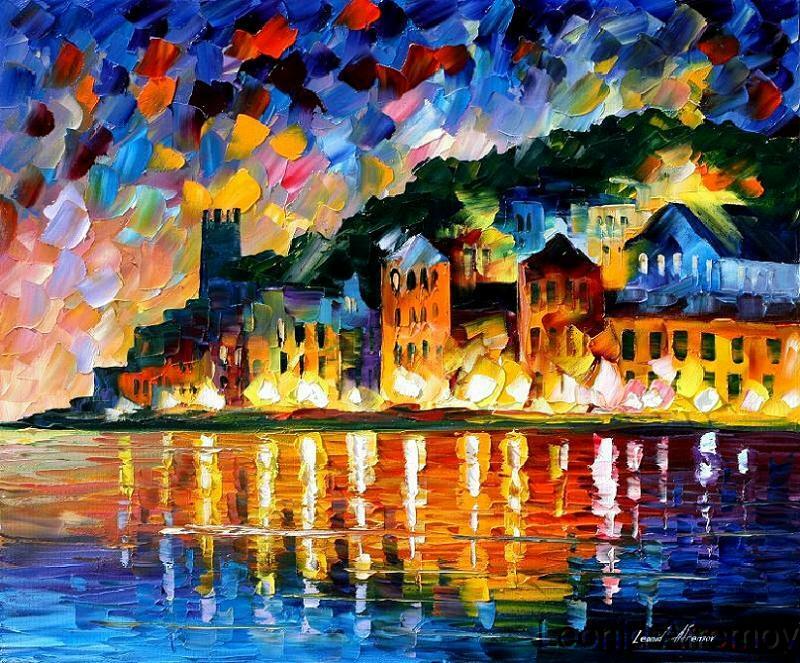 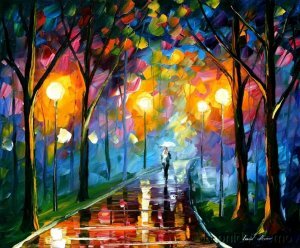 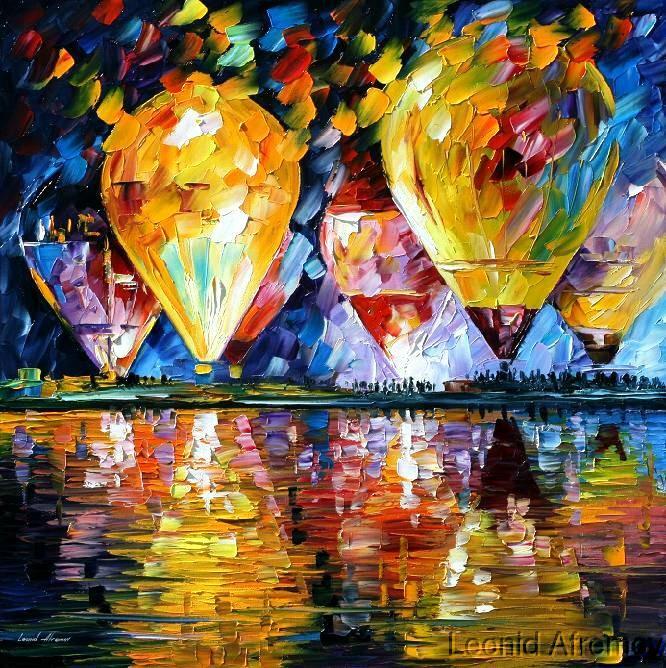 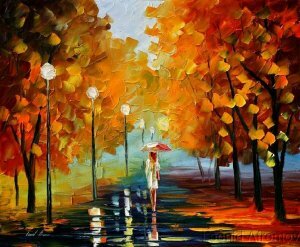 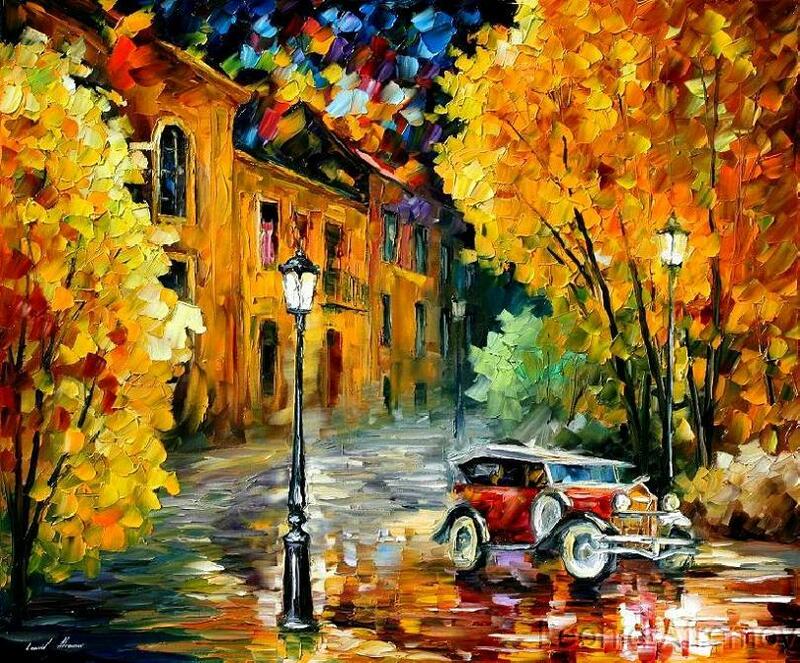 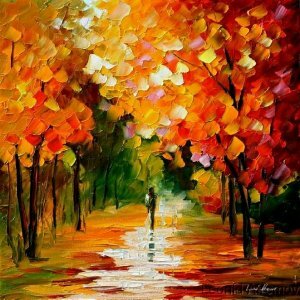 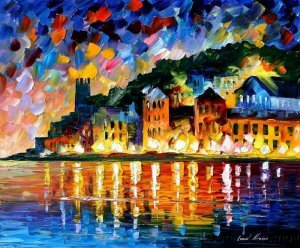 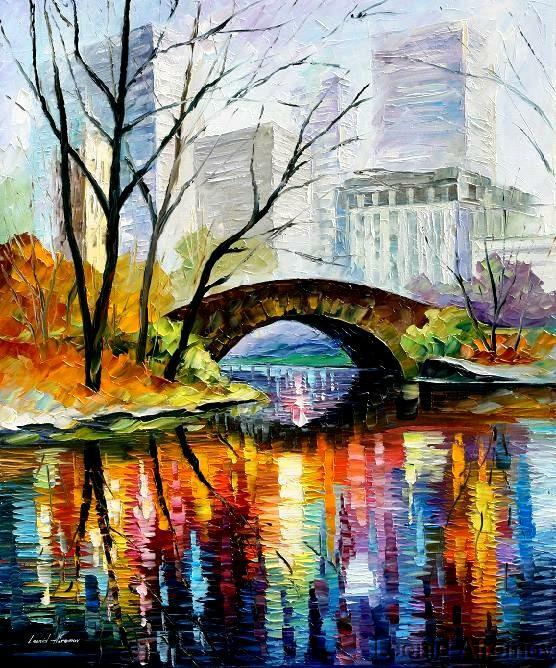 The author of those incredible pictures is Leonid Afremov. 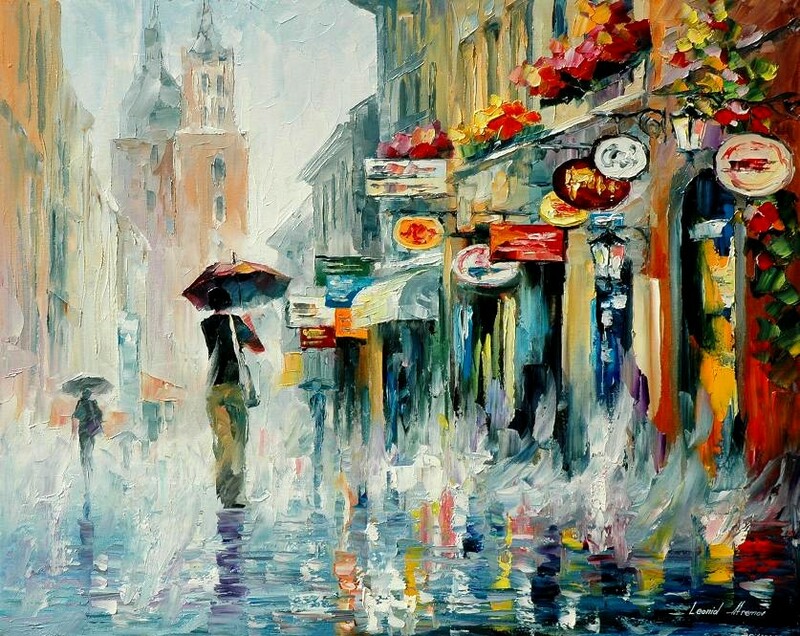 He was born in Belorus, but once decided to show his art to the world and started travelling. 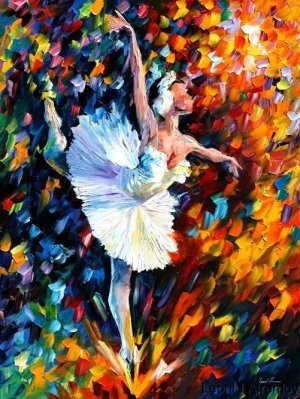 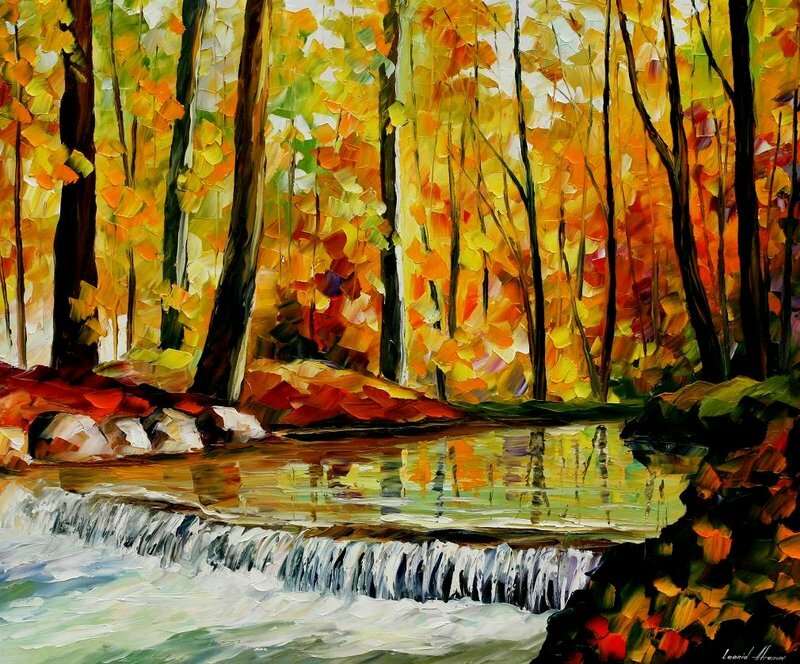 Leonid Afremov studied a special technique of oil-painting for a couple of years, where mastihin is used (a thin steel sheet shaped as a knife, usually used to scrape off the paint). 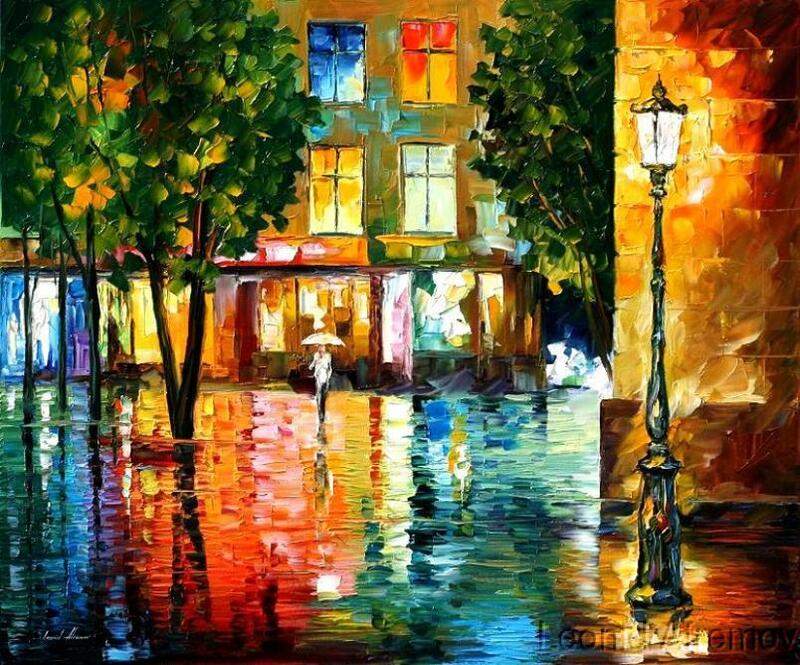 It’s amazing how it’s possible to convey the picture using such a complicated technique.